What is this RSS I keep hearing about? RSS is a great way to keep up with frequently updated info on the web, such as this site, other blogs and news. I’ve found that many people don’t know about it, even people who are already using it, say on a Yahoo or Google reader page, Blogline, or even through Outlook.. So, I decided to add this little blog note for your information. 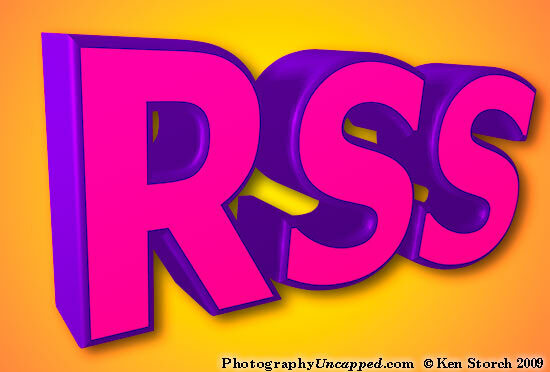 RSS, Really Simple Syndication, is a pain free method for subscribing to all kinds of things you are interested in. The video here givs you most of the basics. Once you view the video, make sure to subscribe to the PhotographyUncapped feed just by clicking on the RSS icon (usually shown by your web browser in the address bar above) and choosing your preferred reader page. You can also use the Share This icon at the bottom of pages and posts to subscribe to that individual item, or to send it to others easily. I hope this helps your understanding and makes your online life a little easier.